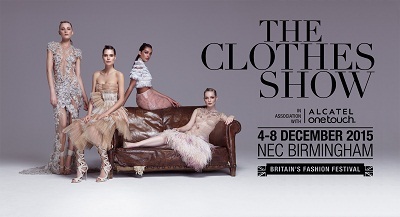 WIN TICKETS TO THE CLOTHES SHOW 2015! 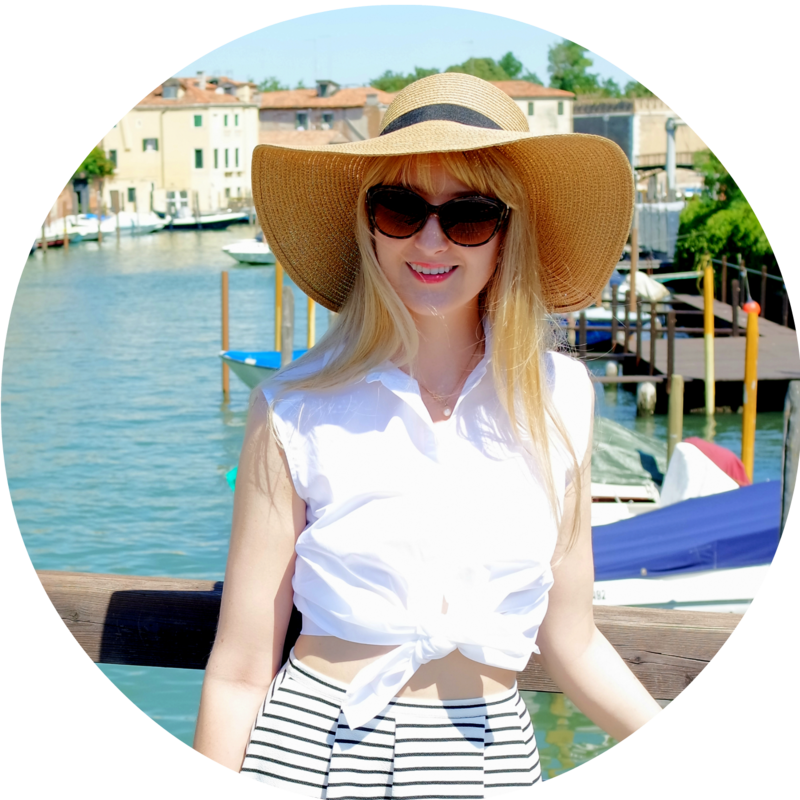 I have another super exciting giveaway for you this month! I have a pair of tickets to see The Clothes Show at Birmingham NEC on Tuesday 8th December. Two of you could be going along to the closing day to sample all the best of clothes, hair and beauty just before Christmas! WIN! WIN! WIN! WIN! WIN! TICKETS TO BRITAIN’S ULTIMATE FASHION FESTIVAL! The Clothes Show in association with ALCATEL ONETOUCH returns to the NEC Birmingham from 4-8 December 2015. With over 500 leading fashion and beauty brands, non-stop catwalk shows, makeovers, manicures, beauty demonstrations and style advice, 2015 will offer an all-new fashion experience. Visitors can take a stroll down The Clothes Show’s, new Boutique Boulevard, where they will be able to shop in pop up stores from the likes of Sugarhill Boutique, Playful Promises, Mink Pink, Wolf & Whistle, Little Mistress, Girls On Film and House of CB. Style savvy shoppers can mix high-street buys with the most sought-after labels in the Designer Outlet. New to the show, Pringle, Mawi and Bolongaro Trevor will sit alongside Gushlow and Cole to offer lust-have brands with a discounted designer price tag. Paul's Boutique, Oasis, South Beach, Love and Glamorous will also add to the line-up with their must-have AW15 collections. With every great outfit comes the all-important finishing touches! A whole host of Hair & Beauty products from brands including Rimmel, Elemis, Ciate, Lee Stafford, THX Total Hair Experts, and The Beauty Store will be on show. Back by popular demand the SAKS Pamper Lounge will offer visitors the chance to sit back and enjoy a luxury blow dry or manicure. Don’t forget to book your appointment online! Adding to the fashion-filled spectacular will be several must-visit stages. The Image Catwalk, presented by fashion guru Antonia O’Brien, will show the latest in high-street, graduate and emerging designer collections while fashion journalist and industry favourite, Hilary Alexander OBE, will be hosting the OLYMPUS PEN Style Studio, offering exclusive trend presentations and interviews from leading designers. Joining Hilary is The Clothes Show legend, Caryn Franklin MBE. Caryn has been part of the show from the beginning and continues to inspire the fashion talent of the future. Every ticket to the show includes a seat in the ALCATEL ONETOUCH Fashion Theatre, showcasing a high-energy spectacle of fashion, music and dance. Head stylist Karl Willett will bring together the very best in high-street and designer brands to the show while Charli XCX, Rae Morris and Ella Eyre will take to the stage for live performance. Expect to see some familiar faces as broadcaster and writer Rick Edwards, TV favourite Jamie Laing and Radio 1 presenters Alice Levine and Gemma Cairney host the stage across the five days. Lauren Loves Blog has teamed up with The Clothes Show in association with ALCATEL ONETOUCH to offer lucky readers and their ‘plus one’ the chance to attend the year’s most prestigious fashion event, absolutely free! To be in with a chance of winning, email enter below- if you are picked you will receive a FREE pair of tickets. For further entries you can do the usual facebook like, tweets etc. Tickets are limited to one pair per winner and valid on Tuesday 8th December only. So what are you waiting for? Send your entry today! To guarantee your place at this must-visit event you can buy tickets to the show by visiting the website clothesshow.com. For the best seats in the house, book early and upgrade to a Platinum ticket to be closer to the catwalk action.